Meet Emily Lynch, a hot-tempered, ex-Iraqi vet currently on suspension from the NYPD for hitting the booze too hard while on the job. She’s six-feet tall, rangy and strong, and has the looks of a runway model. But don’t tell her that unless your dental insurance is paid up. 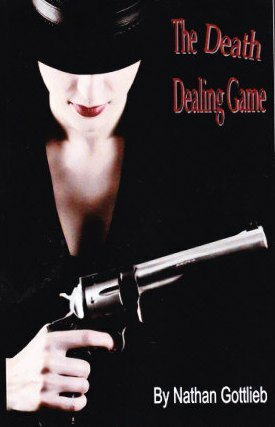 Impulsive, brash, brutally honest, and prone to use physical force when a clever question would get better results, she’s the polar opposite of elite private investigator, Frank Boff, legendary ex-DEA agent and world-class junk food aficionado. When two people close to Lynch are brutally murdered, she can’t investigate their deaths because of her suspension, and so with great reluctance she teams up with Boff, for whom she has nothing but disdain. As they begin investigating the double murder, they discover that it’s just the tip of a massive conspiracy involving gunrunning, high-stakes poker games, a seriously weird string of assassinations, and caffeinated mobsters with short fuses and big guns. Once again, private eye Frank Boff finds himself on his home turf, the Dark Side, where nothing is as it appears to be. Constantly running into roadblocks of lies and deception, and twice the target of assassination, Boff and Lynch finally find common ground—seek and destroy the killers in an endgame scenario that gives new meaning to Boff’s code of doling out a punishment more just than mere justice.